The City Daily Photo theme this month is yellow – not hard in spring! 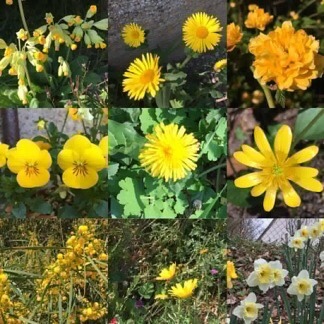 Nine different yellow spring flowers. For other takes on the theme click here. Le thème ce mois-ci de City Daily Photo est la couleur jaune – pas difficile au printemps! Voici neuf fleurs de printemps jaunes. Pour d’autres photos sur le même thème cliquez ici. Posted in: City Daily Photo theme day, Flowers and gardens.